What the heck with the infrastructure of the Roads!!! Go drive in places like Boston. My favorite city but the roads are hell. Lol I'm not disagreeing.Philadelphia even New York are awful for the most (DC roads are actually fairly nice and pretty) But those cities have much older infrastructure too and much higher snow precipitation! My plan? Let's make liable or how can I put it. Let's make a bundle deal lol where any developer will have to repave nicely in part..(lamps and gardens not necessary but can help! ) the streets or say a portion around the property they building which by in the process of building it many of the same of their trucks was the ones who destroyed what we the citizens have paid for to enjoy and for the sake of those future new residents and or patrons! Last edited by InternationalWaves; 08-01-2017 at 12:55 AM.. It's called impact fees and in the CoA those fees go into the General Funds, not a separate fund for these types projects. Many of the higher density zoning requires the street frontage to be changed, wider sidewalks, street trees, decorative lamps, furniture zone. This comes up every few years, and was one of Mayor Kasim Reeds goals- improve city streets. I remember him saying there are multimillion dollar homes on Paces Ferry and potholes all over the place on that road. The main problem they were facing is the city didnt have much money for the roads- the gas tax had most of the money going to federal roads- aka you see the highways getting paved every few years when they dont really need it, and the rest of the money went into a general fund. There was finally an extra 1% tax passed this year I believe with more money allocated to local roads. improvements is to be paid. serve new growth and development. state or federal highways impacted by the developments which have paid such impact fees. Which is why we need a mayor who will dive into the General Fund and get away from that model. I did hear Mary Norwood talk about this exact issue at a Sunday Meet and Greet. It's been a thorn in the side of Atlanta politics for many years. The whole concept of development impact fees is to, well, alleviate the impact of developments. Instead the city treats them as more dollars to toss into the general fund and spend as it it sees fit. 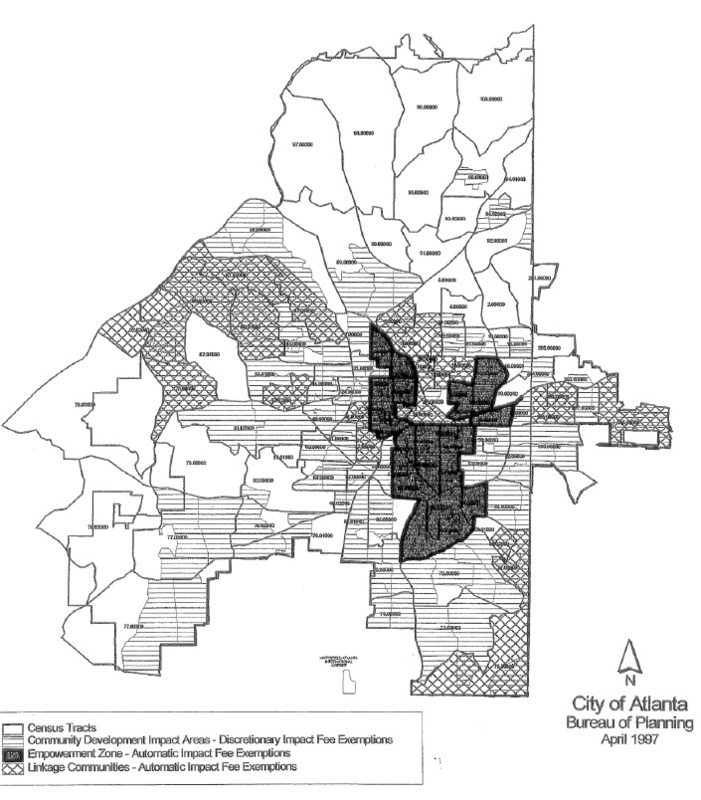 Large areas of the city were exempt from impact fees, although they often received them. Areas that paid in often got little or no return. Perhaps the state is to blame more than the city. Great article! I just got home from a 9500 mile road-trip across the US. I'm loving this sweet southern blacktop.